Is something at stake in your life? Has a challenge or opportunity arisen? Would you benefit by finding focus in your life? From receiving support with accountability towards your dreams and visions of your very best life? 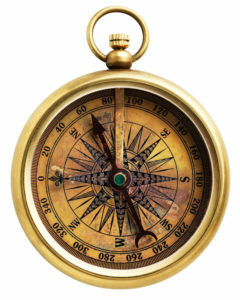 Do you need a compass for your life? You may be a manager or business owner with staff whose personal and professional lives could use support (Coaching is recognized by the public and private business sectors of world economies). So, let’s explore what Coaching is and what it isn’t. As defined by the International Coaching Federation (ICF), Coaching is partnering in a thought-provoking and creative process to maximize personal and professional potential. Together, you create actionable, measurable strategies that help you move towards the development and achievement of specific personal and/or professional goals. As you move toward your positive results and meet your goals, clients often gain improvements with self-confidence, relationships, communication skills, time management, and life-work balance. Coaching keeps in mind that you are the expert in your own life. It is a partnered solution, occurring in the present and moving forward as we work together toward the future. You use the Coaching tools, concepts, and principles acquired as you design and then take effective forward actions. Coaching creates a stage upon which clients through mindfulness and being asked powerful questions, employ shifts and expansions of their perspectives, in a manner where they are able to convert changed outlooks into positive daily decisions and actions. One may benefit by shining a conscious light upon “structures of knowing” and seeing if they still serve you today. Emphasizing a focus on solutions, Coaching enlists the discovery of client strength and resources, with an emphasis on resilience toward purposeful changes. Clients design the most Authentic Actions to take on a pathway toward desired results/goals and are held Accountable to those actions. This results in the experience of the personal and professional achievement of their goals. Coaching gives you the support and tools to clarify meaningful Goals and steps. Your Coach provides ongoing accountability of your actions because his or her job is to provide a supportive space where your own answers become clear when you answer powerful questions. Coaches remind you what you already know to be true—that you have the tools and creativity to find and take that first step, and the following step, and the step after that until you see yourself achieving your desired changes and goals. Your Coach is there to help you remember your Coaching purpose, what you came to Coaching to achieve, including your personal Values, Life Intentions, and Goals. Whether you know your next steps or are unsure, Coaching provides a valuable partnership to uncover clarity, make decisions, focus your energy around actions and achieve your designed goals! Unlike therapy, consulting, mentoring or specific training (see below definitions), Coaching focuses on the individual’s own objectives, creating actionable, measurable strategies toward the achievement of goals that are specific to you, and/or your group. Coaching: Partnering in a thought-provoking and creative process to maximize personal and professional potential. Therapy/Counseling: Healing pain, dysfunction or conflict in service of improved emotional state. Consulting: Assessing an organization’s practices and recommending solutions for improvement based on expertise in a specific area. Mentoring: Offering guidance from one’s own experience or in a specific area of career development Generally more informal and meetings occur when mentee needs some advice or guidance or guidance, can last for long period of time. Training: Working toward achievement of specific learning objectives based on a set curriculum. Coaching supports client’s to focus their attention from who you are psychologically toward who you are ontologically. Psychology is the study of thoughts, feelings, concerns, interpretations, theories, and predicaments. It includes our attitudes, past experiences, beliefs, and opinions. Our version of our very own history. Ontology looks at the nature of being. With the goal to explore and express what it is to be human, within one’s own human nature. The ontological approach focuses on who we truly are and looks at those timeless qualities that support us to move beyond detrimental thoughts, feelings, and doubts, in order to achieve our personal and professional goals. Coaching sees you as being on a journey. As you are willing, you learn to translate your dreams and goals into action. You will experience taking action without getting caught up in and halted by doubt and what is called “Monkey Mind”, the human constant inner dialogue. You will go beyond the barriers that have stopped you in the past, with Clarity, Focus and Ease, and, as recommended by Harvard, Stanford and Yale Medical Schools, a valued connection to Gratitude! ...or to set up an appointment with me, please contact me by phone at 984-200-5239 or through email at nan@accountablecoaching.com and I will promptly reply. Please include some time and date options as well as your time zone.